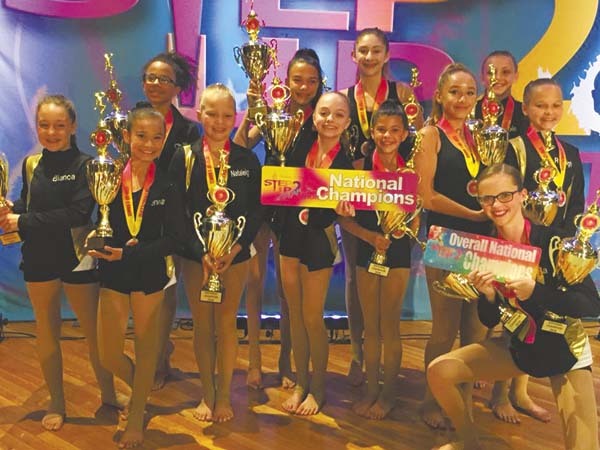 Dancers receive awards in N.H.
JOHNSTOWN — Youth with Highlights Performing Arts of Johnstown recently received awards at the East Coast National Performing Arts Competition in Manchester, N.H. The team was led by senior dancer Willa Perkins who represented Highlight as the ambassador for the 2018 dance season. The team comprises Perkins, Leah Anderson, Annabelle Frisch, Kyra Bartlett, Chelsea Johnson, Anna Giarrizzo, Ryleigh Papura, Jenna Paliling, Zoie Tesi, Brooke Weaver, Bianca Rorick and Nataleigh Papura.